Most girls grow up surrounded by fairy tales featuring princesses and fair maidens swept off their feet by a handsome prince. Beautiful ball gowns, glass slippers, and true love’s kiss make up the romance and magic that later set the tone for many idyllic daydreams about the perfect wedding to a dashing prince. Everyone deserves a happily-ever-after. While real-life princes may be in short supply—although, Prince Harry is still on the market—the handsome prince found in the girlhood daydream is really the groom waiting at the end of the aisle, royal blood not required. The princess, of course, is every woman. Fairytale fantasies do come true, and inspiration can be found in the stories of mermaids singing for their prince, of Cinderella running down the castle stairs in her ball gown and glass slippers, or by the hopeful wish inspired by a shooting star. All of the magic of storybook romance is vividly captured in rings designed to recreate the wonder and enchantment of happily-ever-after promises. In Hans Christian Anderson’s “The Little Mermaid,” a beautiful mermaid princess falls in love with a handsome prince. 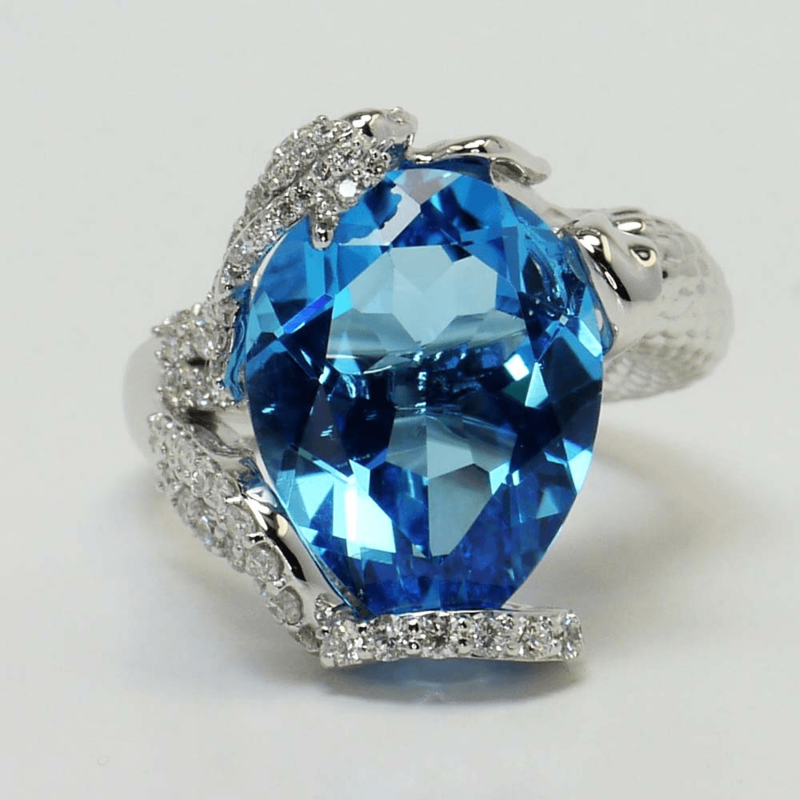 Capture the beauty of the story, the sea, and the siren in a ring elegantly depicting a young mermaid with her hair outstretched in the ocean waves. An amazing 12.2 carat pear-shaped topaz captures the brilliant blue of the ocean, while the mermaid’s hair sparkles with 0.66 carats of round pavé diamonds. Her body, carved from white gold, glistens with engraved details to accentuate her beautiful torso and tail. While the ring can be given as a unique and enchanting engagement or promise ring, the siren ring also represents a symbol of feminine freedom—a young woman off to discover the beauty and intrigue of a bigger world. Wear it to represent love and future marriage. Or place it on the right hand as a reminder of a future full of amazing success and adventure. Cinderella’s brilliant blue ball gown crumples in her hands as she dashes down the stairs—losing a glass slipper in the chaos—to escape the Prince’s arms as the magic of her dress dwindles to rags when the clock begins to strike midnight. That beautiful dress, perfectly draped in elegant bustling layers, becomes the inspiration for a ring that captures the enchantment of Cinderella’s romantic fairytale. The Cinderella Diamond Engagement ring recreates Cinderella’s classic gown with a beautiful double ribbon design that mimics the elegant bustles of her dress. Encrusted with approximately 0.25 carats of round pavé diamonds, the double ribbons drape against a regal crown mounting suitable for a diamond of any size or shape. 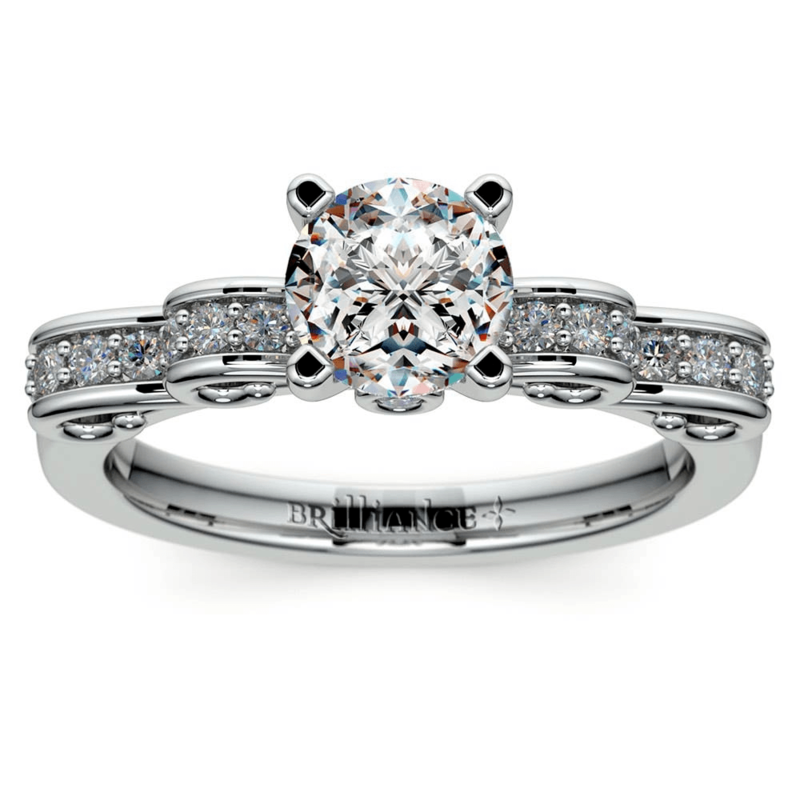 Two discreetly placed bezel-set diamonds are tucked in the crown mounting and add an extra spark of fairytale magic. Paired with the Cinderella Collection wedding band, the Cinderella Diamond Engagement Ring sets the tone for happily ever after. “I wish I may, I wish I might have this wish I wish tonight.” Many wishes have caught rides on shooting stars, and many starry-eyed daydreamers have said those magical wishing words with eyes closed tight to make the fondest and purest of wishes. Give the real life prince charming a shooting star as a symbol of a sincere wish come true. 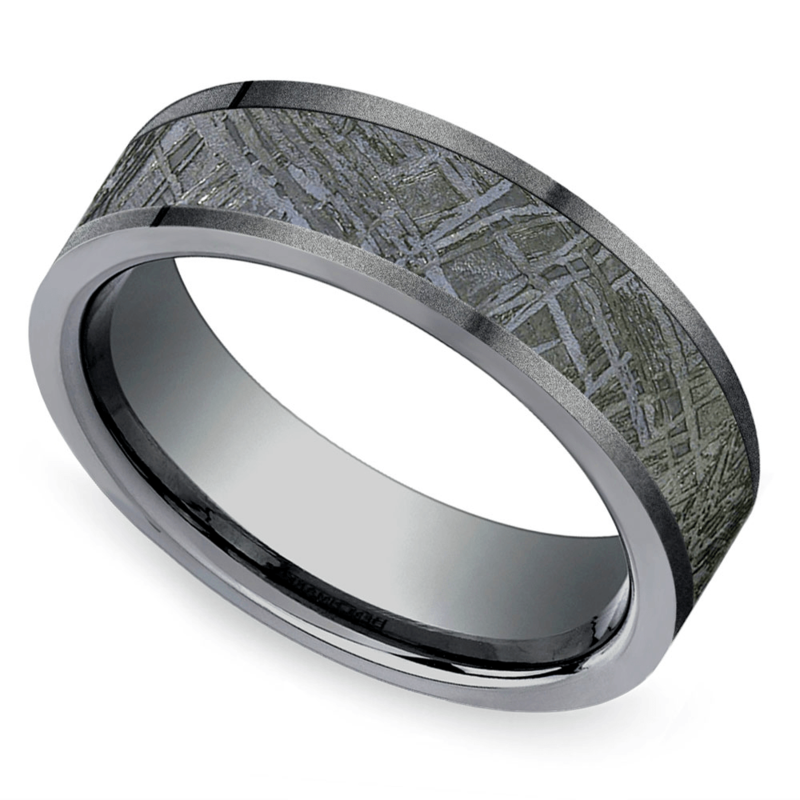 Rings crafted in zirconium, cobalt, gold or titanium feature an inlay of genuine Gibeon Meteorite. Named for the town of Gibeon, Namibia, the meteorite features iron-nickel that is estimated to be about four billion years old. Wish upon a star and then symbolize the promise with a ring crafted from a shooting star that represents infinite love. Fairytales tell a story of a true love that lives happily ever after. Seal forever with true love’s kiss and a ring that fulfills every fairytale’s perfect ending.